Linking strategy with execution is crucial for the success of organizations, driving innovation, quality, and growth. If they don't align in a coherent way, a firm potentially risks losing its focus. Leaders need to be expert at both strategy and execution. For organizations to become successful global business, they need to organize a clear winning value proposition, underpinned by unique capabilities, by linking their strategy with execution to everything they accomplish. This deck explains the guiding principles of Strategy through Execution that provide a concrete layout to bridge a firm's strategic direction with what it is able to deliver the best, and navigate the growth avenue. 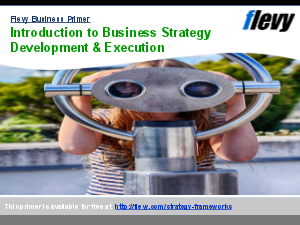 Top global enterprises have exceptionally coherent strategy and execution functions. The presentation deck also includes slide templates for you to use in your own business presentations.